The best way to get to know a community is by scheduling a tour. 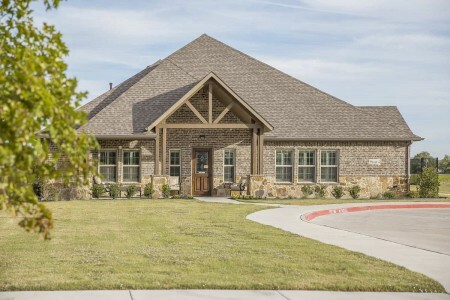 See the facilities, meet the staff and residents, and get a feel first hand what it's like to live at Mustang Creek Estates - Sachse Assisted Living. Mustang Creek Estates is a new concept in assisted living and memory care! It is a residential-style assisted living and memory care neighborhood designed entirely for seniors. It consists of 6 to 7 unique homes, housing 10-16 residents each. Each home offers compassionate and personal assisted care 24 hours a day to include: medication assistance, daily housekeeping, home cooked meals, laundry, incontinent care, mobility assistance, and activities. We provide a true residential environment, with quality care and services, at an affordable price. Our rates are all inclusive, we don't charge for levels of care.